"The U.S. Constitution guarantees free speech. Federal courts define and enforce it. The Department of Justice can weigh in. Conservatives don't like it when judges try to write laws, and conservatives should not like it when legislators and agencies try to rewrite the Constitution," Alexander said. At the same time, he said he agreed with the Trump administration's position that colleges "should provide better data on student debt and put some 'skin in the game' to reduce student borrowing." 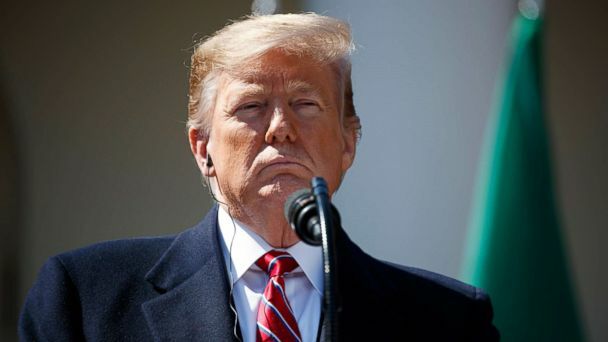 The official declined to say whether the president believes the issue has worsened in recent years, not wanting to get ahead of the president's remarks. "The president is fully committed to promoting free speech on college campuses," the official said. Trump had publicly teased the executive order during his CPAC speech and had also tweeted about the issue, in one instance writing: "If U.C. Berkeley does not allow free speech and practices violence on innocent people with a different point of view - NO FEDERAL FUNDS?" "I don't want to get ahead of implementation, that will be coming in the next several weeks, months," the official said.